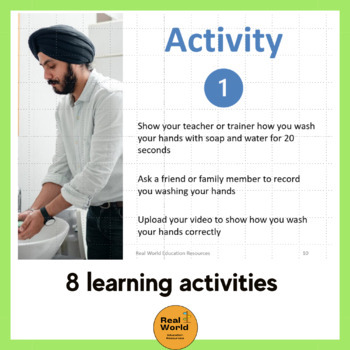 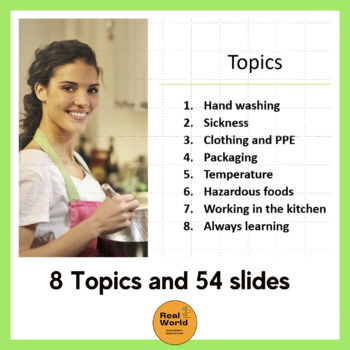 Food safety includes learning to wash hands correctly, clean up food preparation areas, prepare and store food at the correct temperature and take action to keep food areas clean and safe. 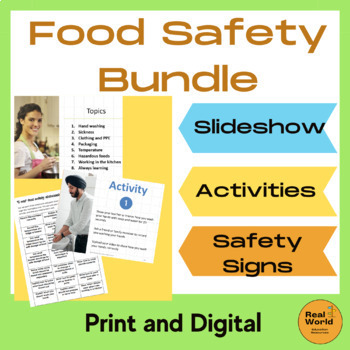 This bundle uses metric measurements and so is suitable for Australia and New Zealand, Canada and UK. 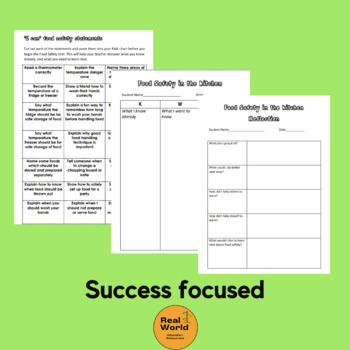 There is a bonus printable activity on reading a nutrition panel which is included with this bundle!